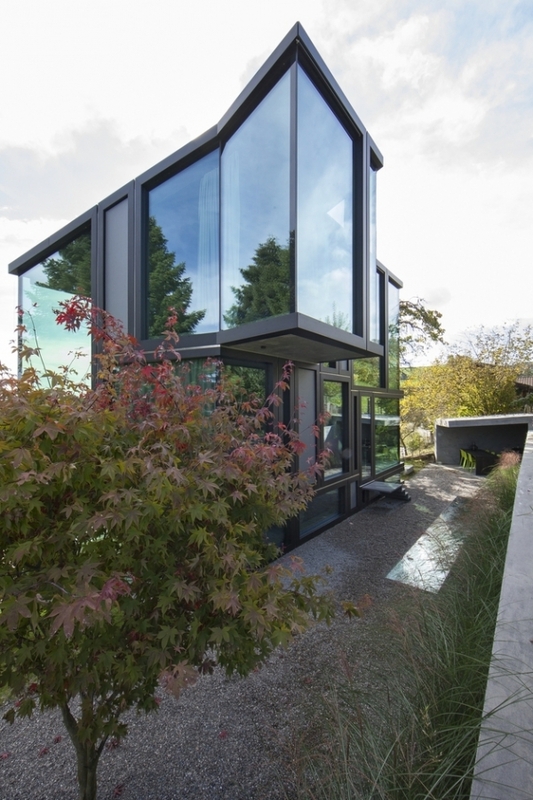 Trubel House exemplifies an architecture of prudence, evolving an aesthetic out of the challenges and limitations this project was faced with. 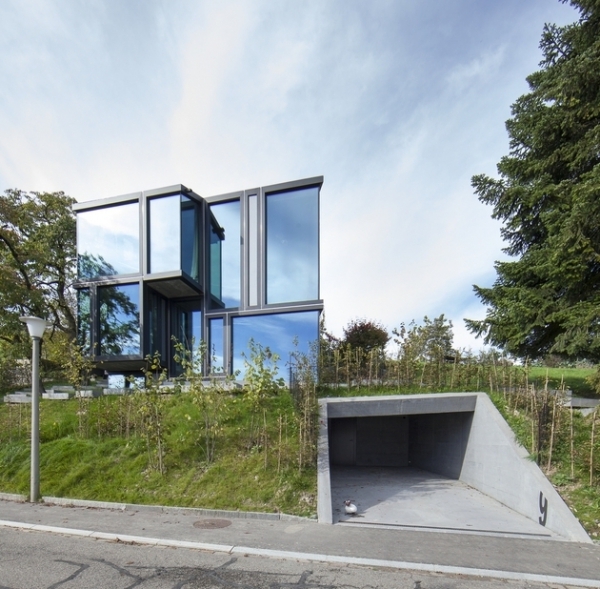 Through measured design and movements, the built form rises out of a compact and steep 5 x 9 meters lot, lending new purpose and countenance to its site. 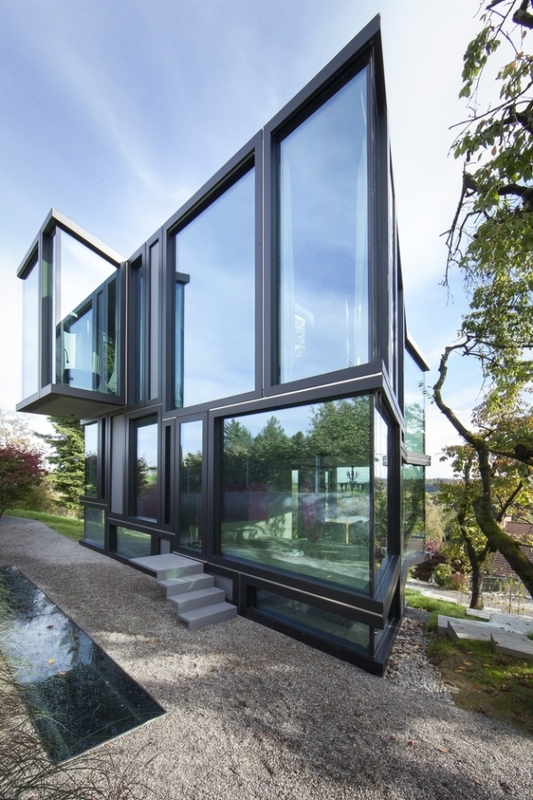 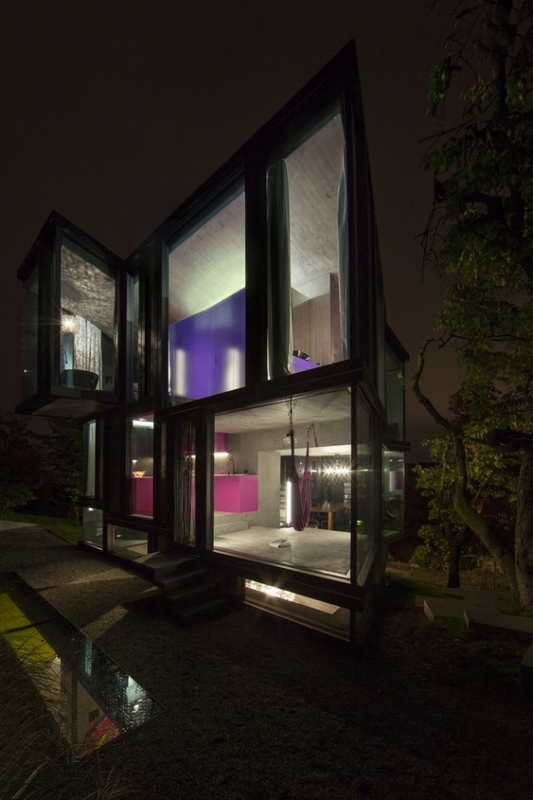 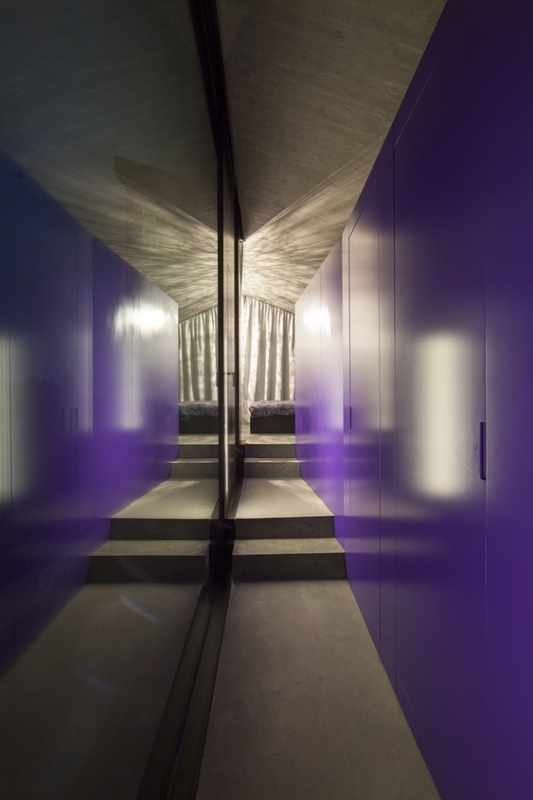 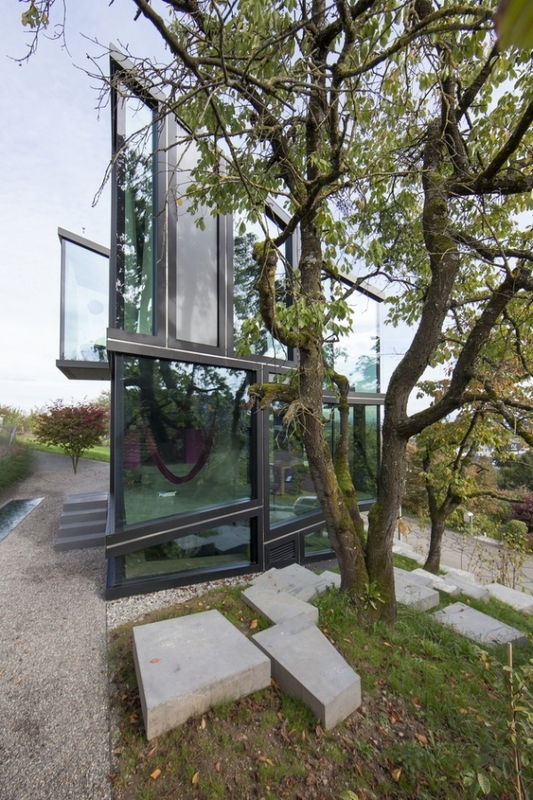 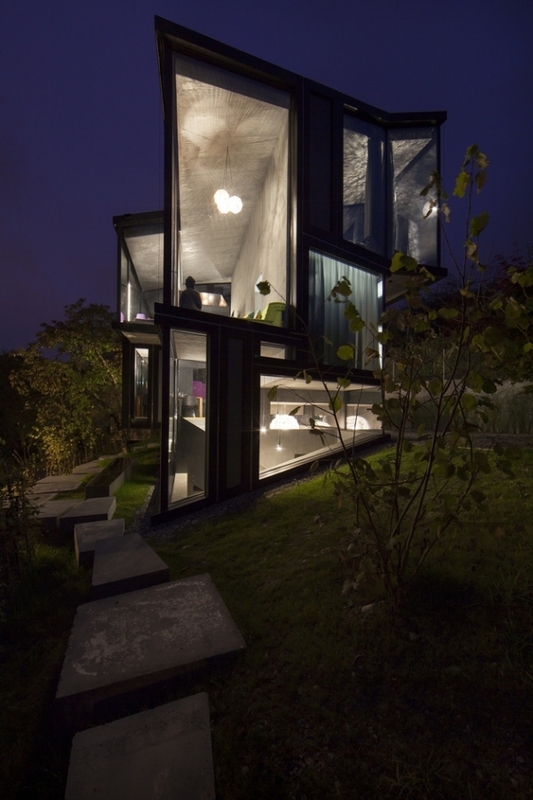 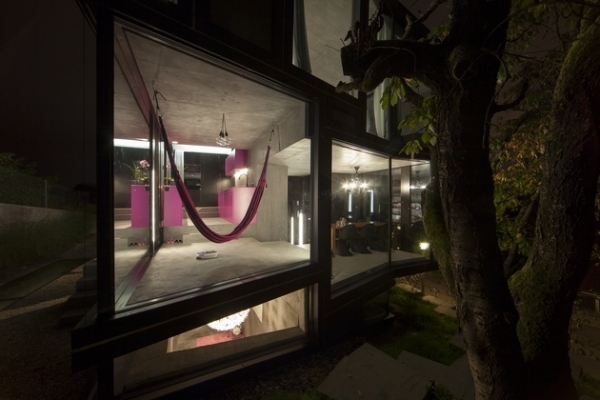 Located in Zurich, Switzerland, this 83 square meter abode designed by L3P Architects captivates the imagination with every face and turn- from its tricky construction to its contemporary purple interiors. 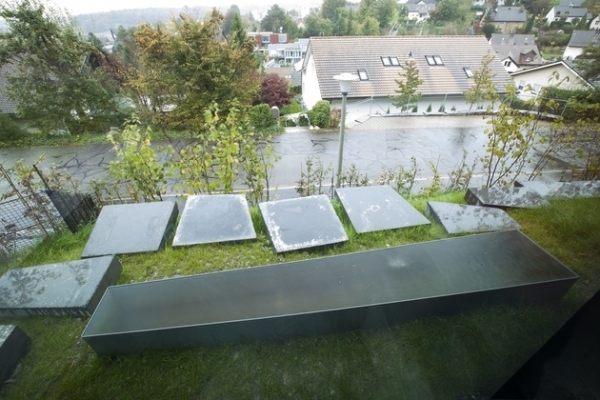 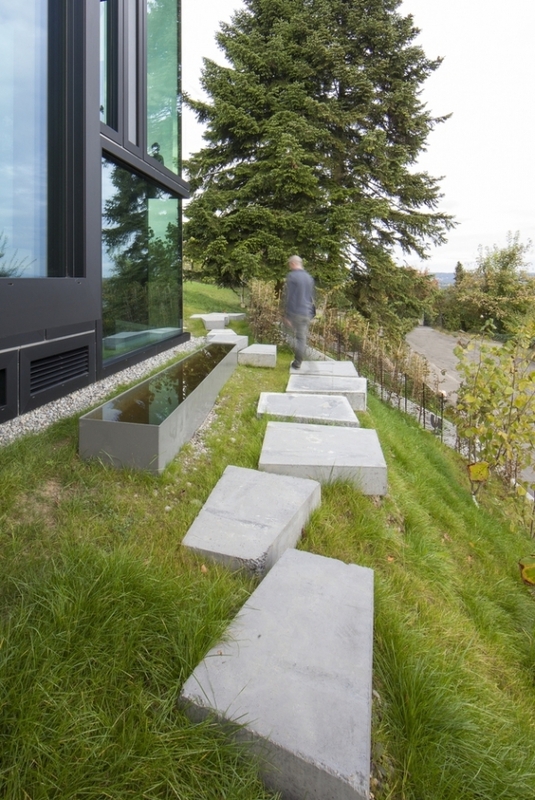 The concrete building negotiates the slope by embedding itself into it. 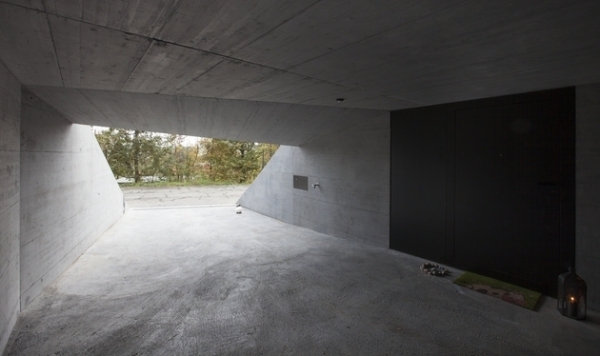 The main entrance is via the subterranean carport, located adjacent to the cellar and utility room. 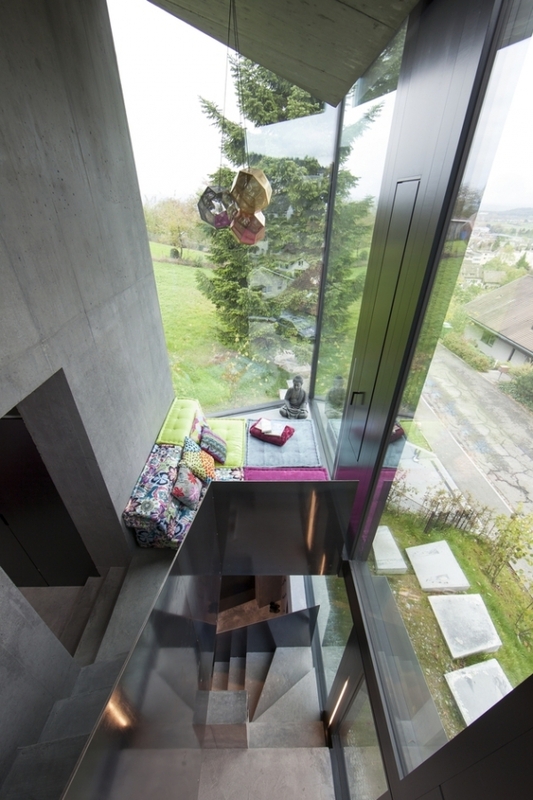 A bedroom is also located at this level lit by skylights and clerestory windows, thanks in part to the elevated floor slab at ground level. 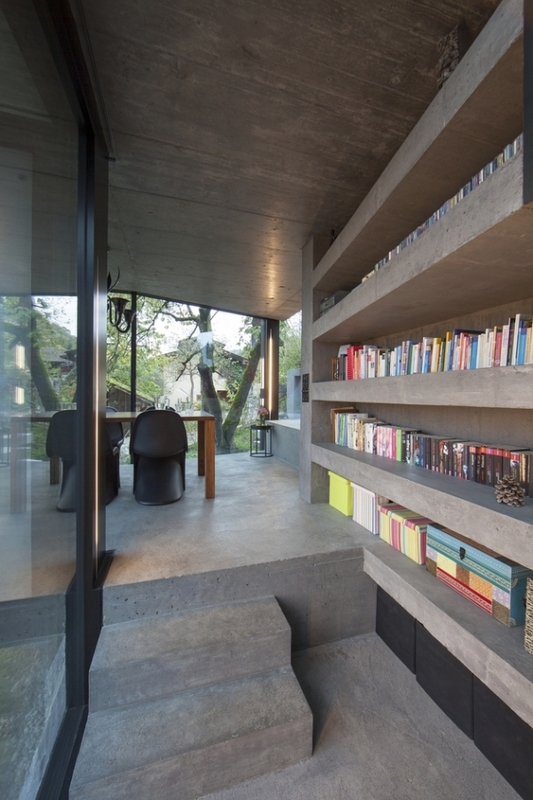 A series of individuated volumes are organized over the two floors above ground, flowing into each other across exposed concrete walls and structural elements. 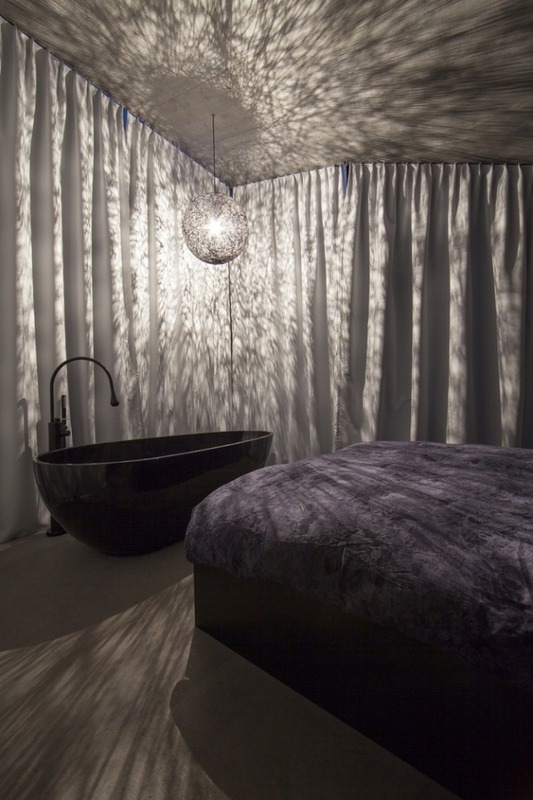 Extensive glazing offers lush backdrops to the simple affair within. 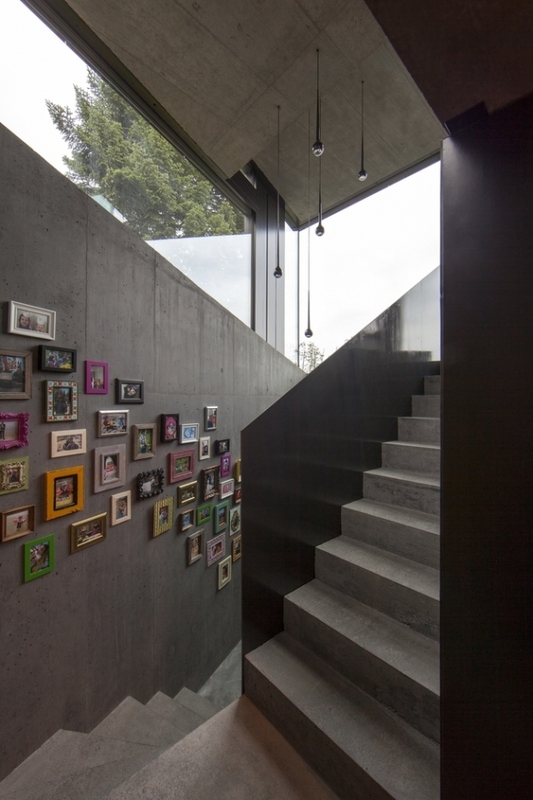 The concrete lends a distinctly modern aesthetic – delectably tactile yet utterly serene in its vocabulary. 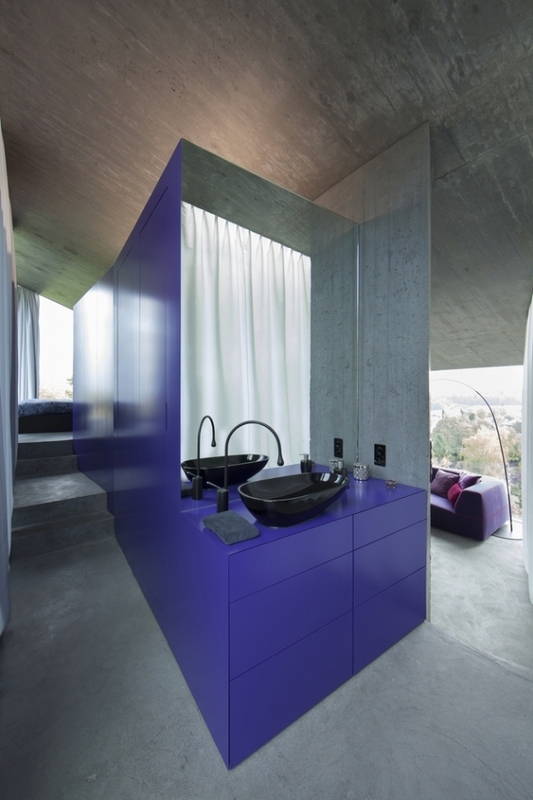 Vibrant splashes of purple come alive against it, setting a rhythm to the interiors across all three floors. 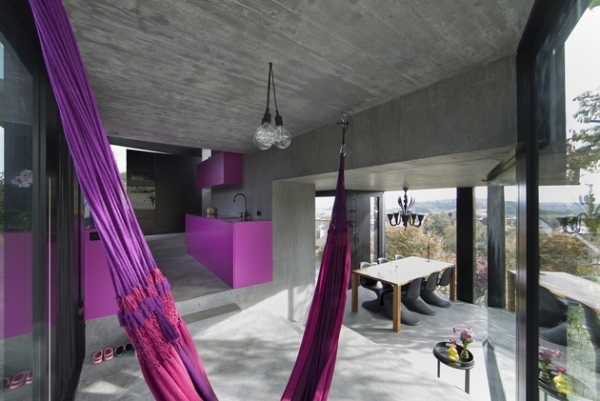 Expressed through furnishings and finishes, the color brings life and playful vivacity to the design. 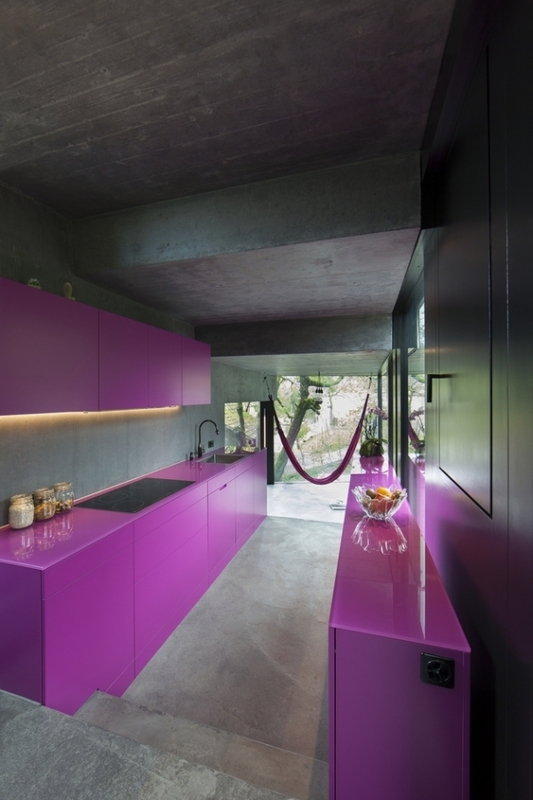 This bold and contemporary purple interior is further supported by a careful introduction of intricacy- through pattern, element and design.